Australia’s modern transport and logistics industry sees businesses contend with a myriad of challenges. From maintaining compliance to and meeting customer needs and everything else in between. Operators are seeking solutions to these issues, to ultimately improve productivity and increase profits in a world where margins are tight. Yet investing in a comprehensive safety program makes safe driving performance an everyday goal, you can reap benefits that extend far beyond the road. In this issue you'll learn how to implement a safety program and maintain good driver performance year-round. After assessing the factors causing risk in a fleet, and identifying recurrent issues stemming from poor driving performance, the next phase is to put new safety measures in place, or expand upon ones already established, in what is often referred to as a Safety Management System (SMS). To build a safety-first organisation, it’s critical to first ensure that you have full participation and commitment from senior management. They are ultimately responsible for the safety of all employees, right through to your administrative staff and drivers. In this issue, you'll get a look into a 9-step checklist that can help you to build a comprehensive safety program and greatly minimise risk. Thanks to new technologies available, such as GPS and fleet and compliance management software, transport companies have a direct line of sight into how their drivers are performing while on duty. What you may not realise is that businesses can take this information one step further by not only preventing, but predicting, unsafe events. In this issue, you'll get a look into the top three ways to use insights collected by telematics. A fleet and compliance management solution not only helps to benchmark and measure driver performance – it can also be used to educate drivers on improving unsafe habits. While performance data is a powerful tool for driver education, a truly successful safety program allows for ongoing feedback and personalised coaching to reinforce safety and good performance outcomes. Pulling together information in a way that is constructive can be a challenge but it’s an important consideration when training staff. In this issue, you'll get a number of tips for making driver data actionable through training programs. Contrary to popular belief, a safety program positively impacts all layers of a business—not just the drivers on the road. Companies that have thoroughly considered safety and compliance into their practices (and procedures) and established an overall culture of safety, can attest to the benefits that extend far beyond the road. 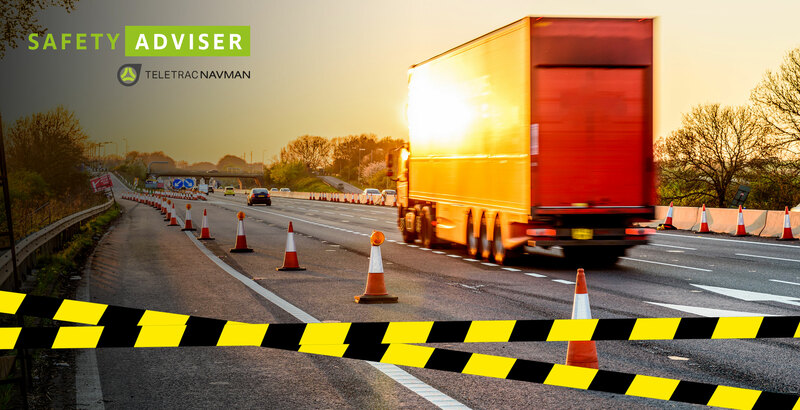 Unlike the way unsafe driving behaviour creates harmful waves and eventually impact customers, greater safety management can create a ripple effect of efficiencies, productivity and savings. In the final issue, you'll get insight into the top four ways that a comprehensive safety program lowers costs and increases profits.